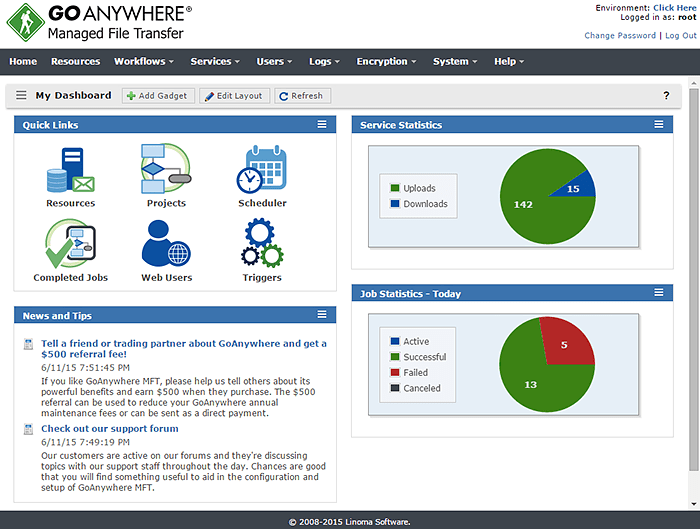 GoAnywhere MFT - download in one click. Virus free. Download the latest version of GoAnywhere MFT with just one click, without registration. It is a standalone setup package that contains the full offline installer for GoAnywhere MFT. 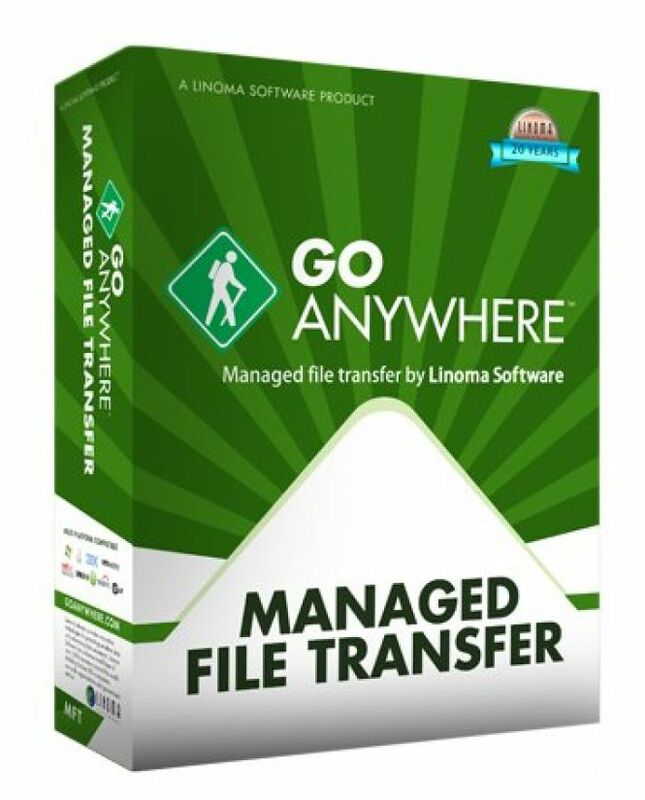 GoAnywhere MFT is a file transfer client and manager with extensive settings, security options, and reports. It is a great solution for teams whose work includes sending large files with high safety requirements. If you need to control your file transfers and see who exactly has access to it, GoAnywhere MFT will be a huge help. The software is easily installed on Windows operating systems, its user interface is intuitive and has a lot of features. You can easily access gadgets for statistics, check a number of uploads and downloads, manage transfer workflows and access options. Besides secure file transfers with password-protecting options, GoAnywhere MFT helps you organize the working process with its wide automation possibilities. You can define complicated workflows (up to 60 tasks each), schedule them, automatically scan folders to view any changes in file system. Which files were edited, added or deleted? GoAnywhere MFT allows you to easily find answers to these questions. 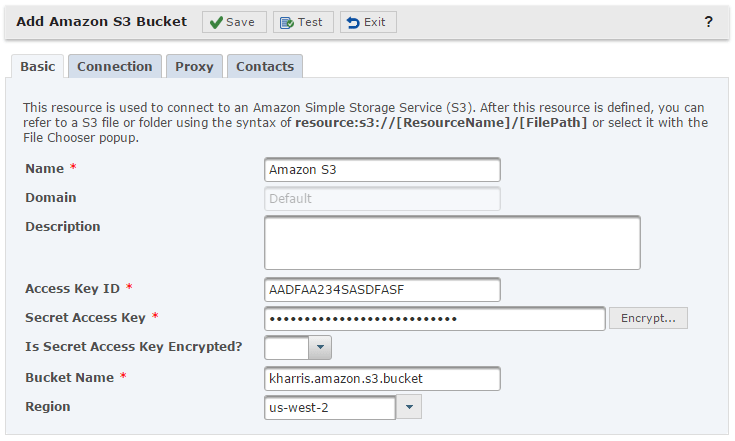 Also, you can add automated alerts to indicate sensitive data uploading or downloading, set commands to launch remote transfers. Finally, GoAnywhere MFT is a powerful tool for collaboration. Share sensitive documents through GoDrive, send files with HTTPS download links, and get and give safe access to files from anywhere. There are more ways to use GoAnywhere MFT in business and company life, and Linoma Software offers flexible prices on the software, so you can pay only for those settings you need.